Check latest notifications about AIIMS PG 2018 Application Form. Get details of AIIMS PG registration, eligibility, application dates, fee & how to apply. AIIMS PG 2018 Application Form along with prospectus will be available through online mode. 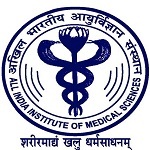 All India Institute of Medical Sciences (AIIMS) conducts its own entrance exam with the name of AIIMS PG for granting admission into postgraduate medical courses (MD/MS/MDS (6 years)/DM (6 years)/M.CH/M.CH (3 years)/MD (Hospital Administration)). On the basis of AIIMS PG, admission into affiliated institutions of AIIMS is provided. The entrance test is conducted twice in a year. In this article, we are providing the complete information about AIIMS PG application form 2018. Candidates can start the AIIMS PG registration 2018 after reading prospectus carefully. Application forms can be filled and submitted through online mode. AIIMS PG 2018 application form for January session will be available in the month of September 2017. Application window will open approximately for one month. Candidates must fill the application form early without waiting for the last date to avoid last minute rush. Candidates can also check their application status after the successful submission of the application form. Candidates are required to fill the application form carefully because no editing facility will be provided after the submission of application form. Take a printout of filled-in form for the process of counselling or admission. Candidates have to submit the application fee through online mode. Candidates can use the credit card, debit card and internet banking to pay the fee. The application fee is Rs. 1000/- for general and OBC candidates. SC/ST category candidates have to pay Rs. 800/-. No application fee will be there for OPH candidates. Qualifying Exam: Candidates must hold the MBBS degree for MD/MS and BDS degree for MDS recognized from the Medical Council of India/Dental Council of India. Minimum Marks: Candidates have to score 55% marks in qualifying exam (50% for the SC/ST candidates). Candidates must complete the 12 months of rotatory internship/practical training on or before 30th July, 2018. Click on “New Registration” button. Read all the instructions provided in the registration process and click on “Proceed” button. On the next page, the New Candidate Registration form will be appeared. Read the eligibility and click on “Register” button. After successful registration the ‘Candidate ID and Password’ will appear on the computer screen and same will be sent to the candidate’s registered email id or mobile number. Complete the six steps of the registration process in which you have to provide your personal information, qualification details, etc. Make a payment after selecting the test centre. Select one of the online payment modes for paying the fee. Pay the registration fee and click on the submit button. Do not forget to take the printout of the fee payment receipt. Upload the scanned images of photograph (50-100 kb), signature (10-50 kb) and left hand thumb impression (50-100 kb). The size of the image should be in jpeg, jpg, gif or png format. At last, print your filled-in application form for further use. If you have any query about AIIMS PG 2018 Application Form, you can leave your query in the comment box.